Another big shout out to everyone who got stuck into our ‪#‎PostPunkDisco‬ sesh at Rough Trade Nottingham on Friday 10th June. Nods to big Kyle and his crew too – thanks, folks. A cheeky catch up ‘n another Post Punk Disco too..
Those nice people at Rough Trade Nottingham have invited us back for another Post Punk Disco on Friday 10th June! Expect a canny all-vinyl sesh of Post Punk, New Wave and Leftfield Disco. With dancin’. Get stuck in. Be fab to see you. And we had a right blast spinning ‪vinyl‬ there on 28th May too. Nods to everyone who popped by and said hello. Hugs to big Kyle and his RTN crew for having us. Hoping to do another Saturday Beats ‘n Treats afternoon sesh on 16th July. More info on that coming soon. Big shout out to everyone who got well stuck into our Post Punk Disco sesh at Rough Trade Nottingham on Friday 29th April. Fab night, people. Hoping to do it all again soon-ish. We’ll keep you posted on that. Before then, come keep us company at RTN on Saturday 28th May for an afternoon of Beats ‘n’ Treats between 3pm and 7pm. Always a nice slot. Hope to see you. Massive big shout out to everyone who got stuck into our PostPunkDisco sesh at Rough Trade Nottingham on 26th February. Fab night, people. We’re doing it all again on Friday 29th April. Same place. Same time. See you there. Still buzzin’ off our new-wave/post-punk all-vinyl sesh at Rough Trade Nottingham Saturday on 28th November. Thanks to Kyle and his people for making us feel so welcome. Plus a nod to everyone who liked the tunes and said hello. We’ll be back on Tuesday 29th December from 3pm ’til 7pm. Slower lazy beats vibe that afternoon to help you through your post-holiday lull. Looking forward to it. 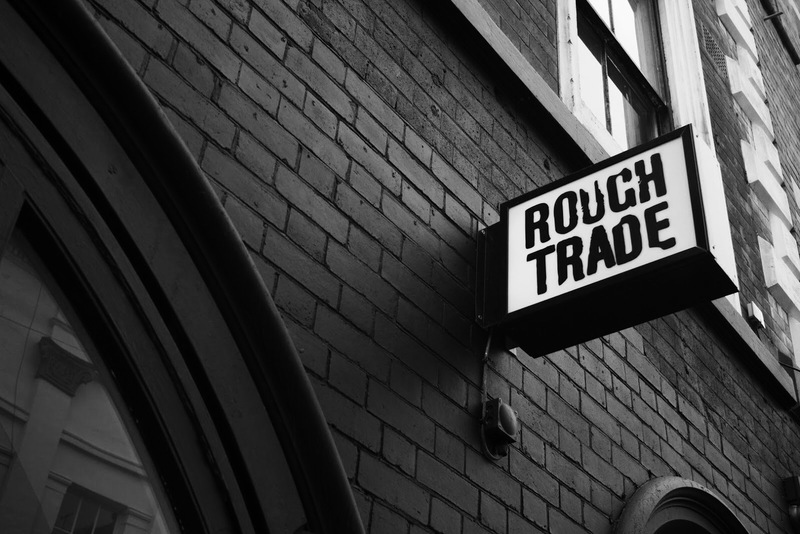 We’re finally popping our Rough Trade DJ slot cherry in their upstairs cafe at their gaff along Broad Street from 3pm ’til 7pm on Sat. 30th May. Vinyl-only set pulling in all sorts of fine nuggets. Cafe’s a nice chilled space and kiddies are very welcome too. Been ages since we played out with some black wax so we’re well up for it. Hoping it’ll be the first of a few slots over the coming months. Be fab to see you if you’re in town that day. 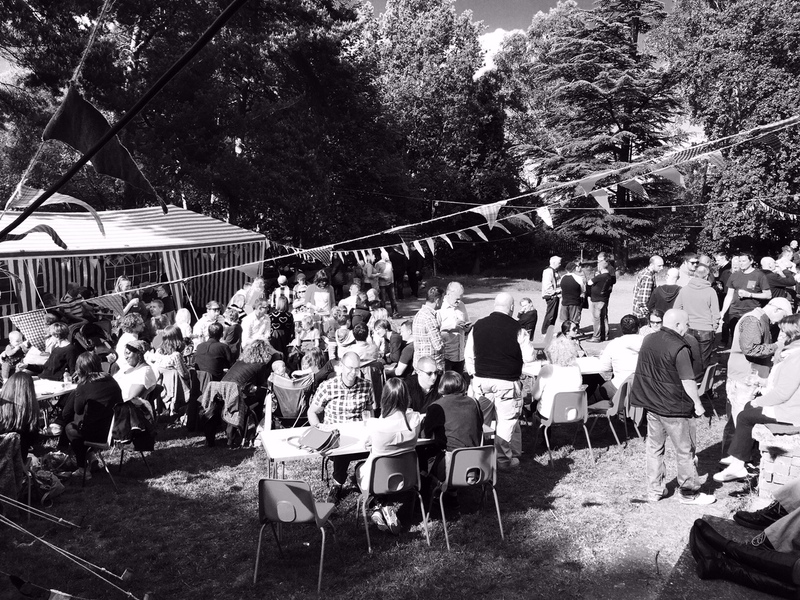 What a fab beer festival that was, and the weather held out too! Massive shout outs to everyone who got stuck our #BeerFestJamm vibe. Glad you liked the tunes, people. Special nods to all the Blackwoods Scouts crew for letting us soundtrack their very big afternoon. We had a crackin’ time playing for everyone. We’ll be back in 2016. For sure. 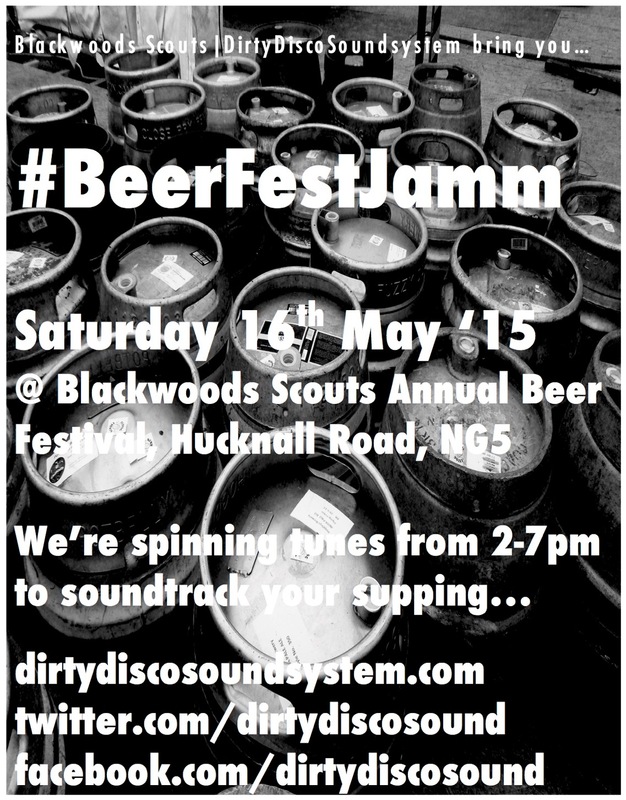 Made up to say we’ll be spinning tunes to soundtrack an afternoon of supping craft beers, ciders and wines at Blackwoods Scouts Group Annual Beer Festival on Saturday 16th May ’15. We’ll be dropping a massive selection of songs between 2pm and 7pm. Expect all sorts and a few surprises too. The beer fest goes on until late that evening so hang around to watch the sunset and the evening’s entertainment. It’ll cost you just £3 to walk in and that gets you a free glass to sip your ale from too. Bargain. All profits from the event go towards funding Blackwoods’ activities over the next year.